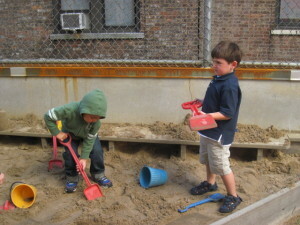 Columbia Greenhouse Nursery School is located on 116th Street, nestled between Columbia University and Morningside Park. We occupy five spacious classrooms in two buildings. 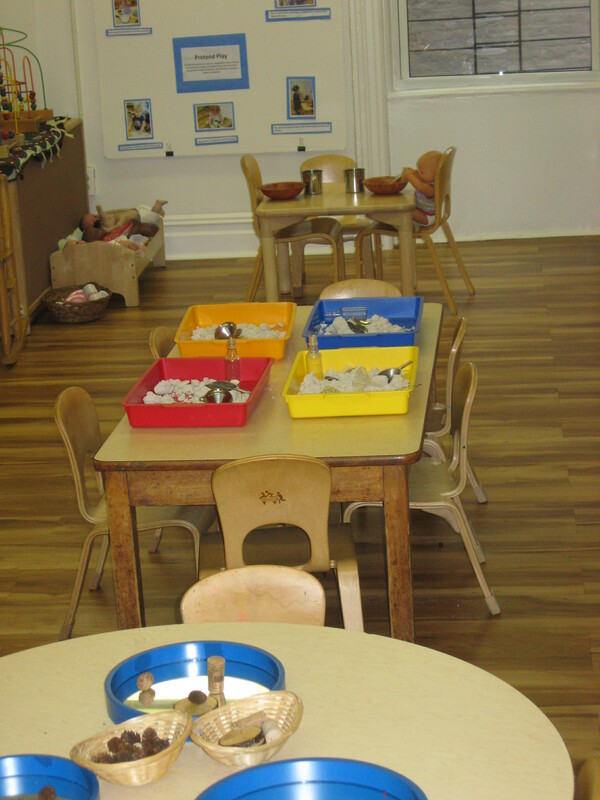 Each classroom is uniquely renovated and outfitted to meet the childcare needs of the children in its group. Every room has windows that provide the class with natural light and a peek at the outside world. 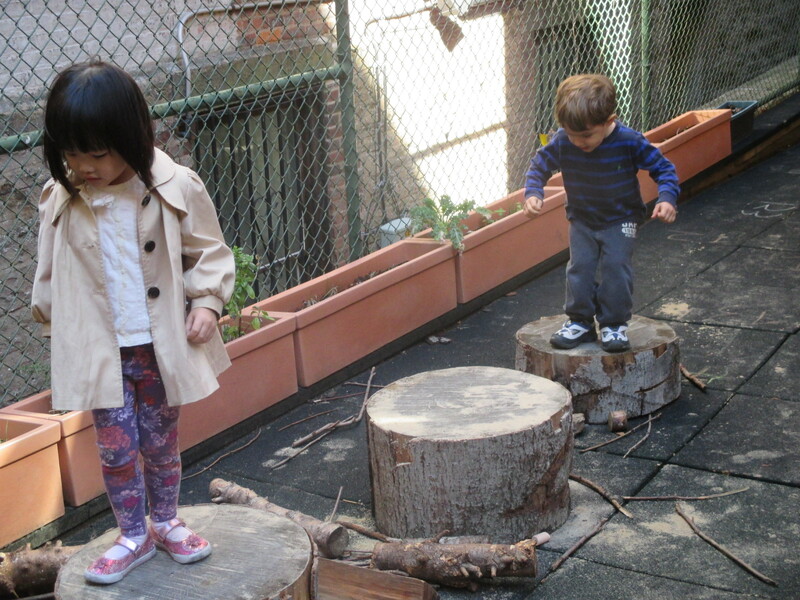 We are fortunate to have two separate outdoor play areas, each offering distinct and enriching opportunities. 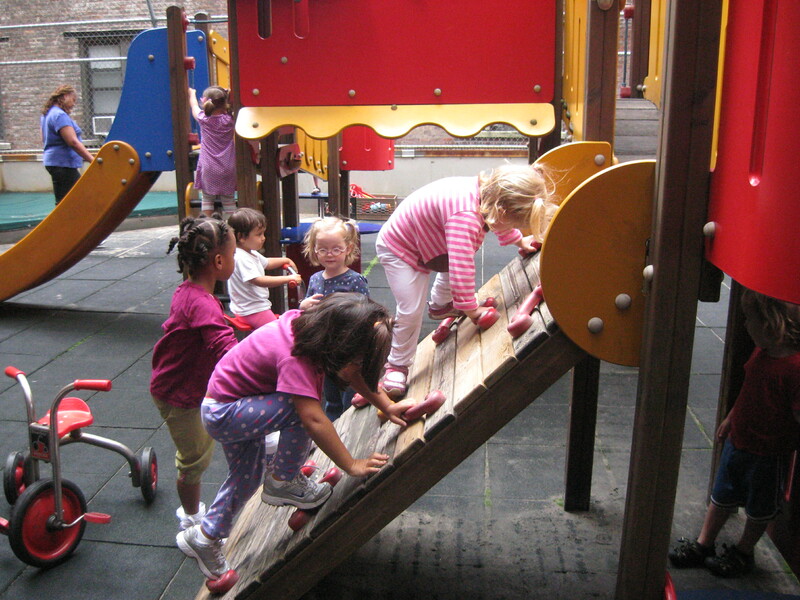 Our ‘big yard’ (as the children have named it) has a climbing structure which provides many challenging ways to get up and down, like ladders, a sliding board and a climbing wall. 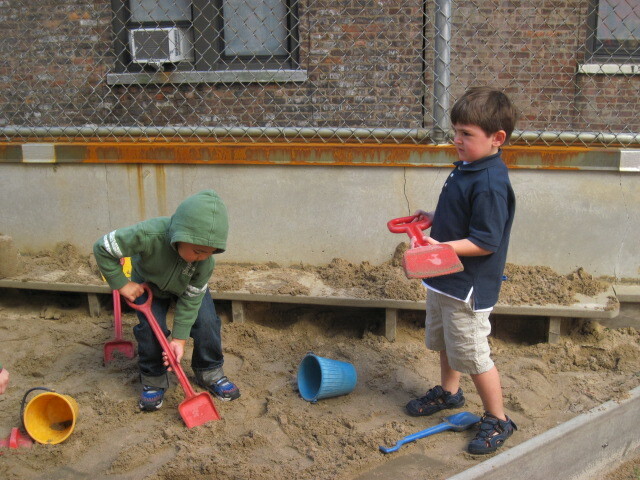 In addition, the large sandbox and numerous tricycles provide hours of fun and important opportunities for large motor development. 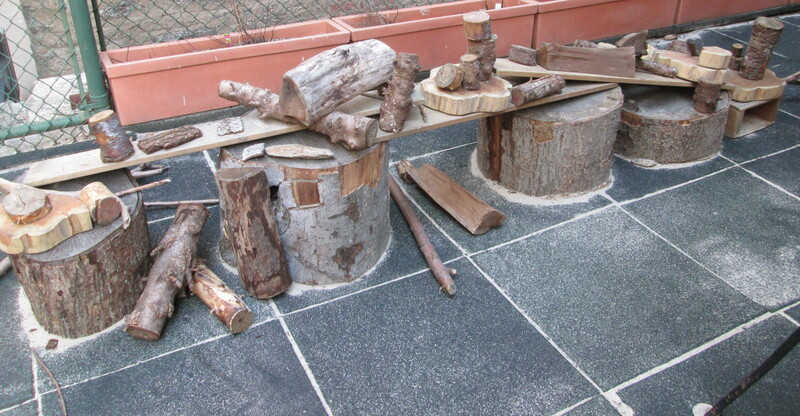 The ‘small yard’ is filled with loose parts found in the natural world. You might find a fort built out of tree stumps, rocks and sticks; or a magical array of mud pies and cakes masterfully made from dirt and water in our mud kitchen.